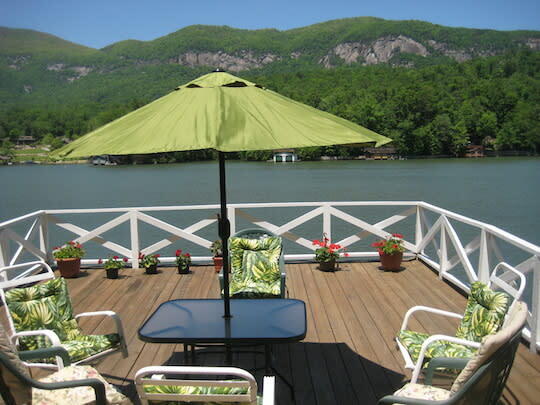 One of the most spectacular views of Lake Lure and the Majestic Blue Ridge Mountains beyond the Lake, can be enjoyed from the living Room, Master bedroom and the large deck, which is on the water and only a step away from the living room. Most of the houses on the lake have 20 to 50 steps to get from the house to the deck. We have none! 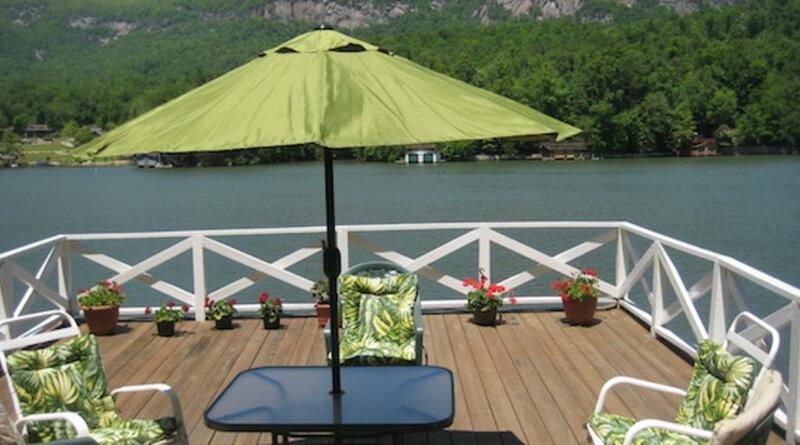 Next to the house are 5 steps which will take one to a small sandy beach from where one can swim or use Floats. . Chimney Rock state Park, Water Falls are only 5 minute Drive from the house .Lake Lure Beach and Water Park is only 1.2 miles away. Lake Lure is one of the ten most beautiful man made lakes in the world according to National Geography, is nestled in the charming foot-hills of the Blue Ridge mountains. It has 27 miles of shoreline. Several major motion pictures including Dirty Dancing, Last of the Mohicans, A Breed Apart and Firestarter was filmed here. In fact the film Dirty Dancing was filmed right in front of our house across the lake. !